Where is Kahoʻolawe situated in the Hawaiian Islands? Why is its location unique? What three things was Kahoʻolawe best known for in traditional times? Kahoʻolawe was once a place where navigators prepared for long-distance voyaging by learning to read the stars. In your life today, what are some places where you learn to read and prepare for your future? What were the two major things that caused damage to Kahoʻolawe? Which was more harmful to the island’s ecology? Do you think an island should be used for bombing practice? Why or why not? These days, people don’t live on Kahoʻolawe Island, but small groups are allowed to visit for cultural practices and reforestation projects. If you were to make a sign that everybody who came to Kahoʻolawe would have to read, what would it say? Kahoʻolawe is a very sacred island to Native Hawaiians. The island has many names. It is referred to as Kohemālamalama, Hineliʻi and Kahiki Moe. Kahoʻolawe is one of the kinolau (body forms) of the akua Kanaloa. In Polynesian cultures, Kanaloa is the god of the deep sea. Many of the traditional practices on the island are related to Kanaloa. 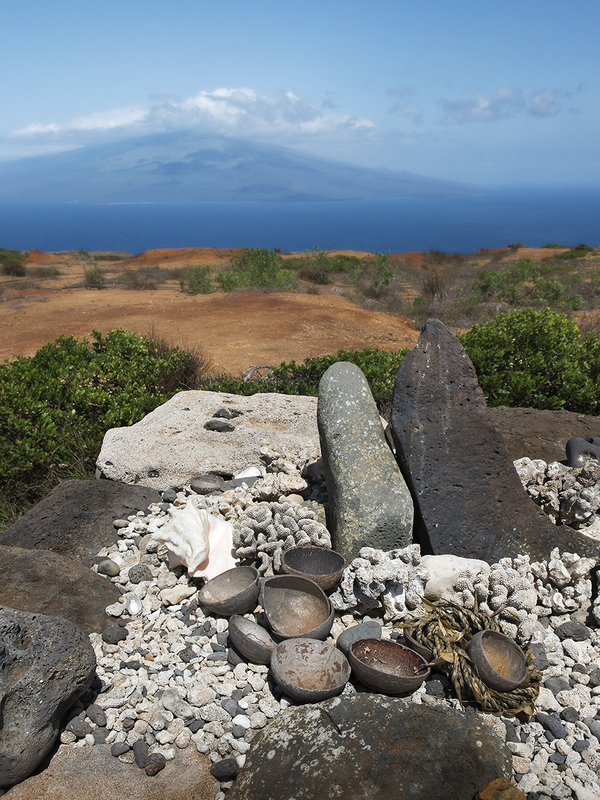 There are many koʻa (fishing shrines) on Kahoʻolawe. There is also a navigation temple near Kealaikahiki point. 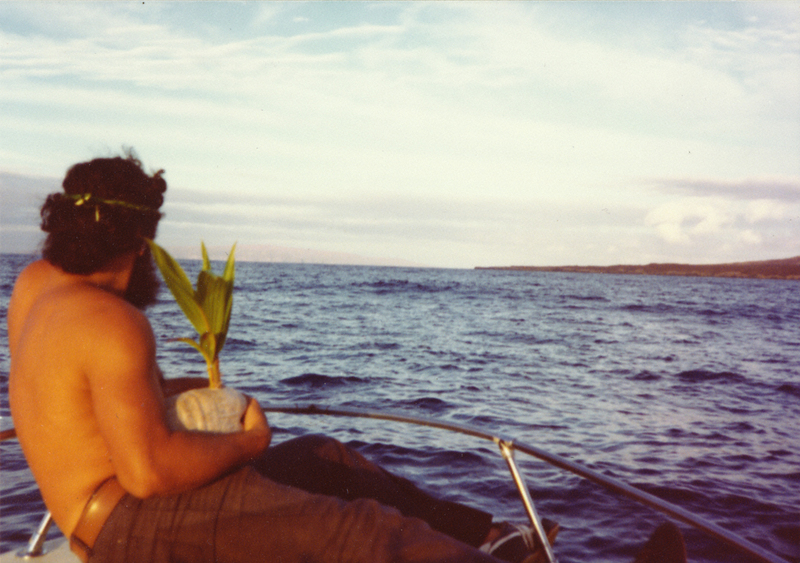 Kanaloa is an akua for both ʻoihana lawaiʻa (fishing practices) and hoʻokele (navigation). I ka wā kahiko (in the old days), fishermen from Maui and Lānaʻi would sail to Kahoʻolawe to harvest the abundant ocean resources. There are also numerous places on the island dedicated to training and preparation for long distance navigation. Today Native Hawaiians continue to use the stars, weather and waves to navigate across the open ocean. There is a sacred ocean channel on the southern side of Kahoʻolawe. The channel is named Kealaikahiki or the “path to Kahiki (Tahiti)”. The entire island of Kahoʻolawe is considered an ahupuaʻa for the Honuaʻula district of Maui Island. It is seven miles from Maui. The sea between these two islands is known as ʻAlalākeiki. At one time Kahoʻolawe consisted of twelve ʻili land divisions. Today there are eight ʻili, Pāpākā, Hakioawa, Kanapou, Kūnaka-Nāʻālapa, Kealaikahiki, Honokoʻa, Ahupū, a me Kūheia-Kaulana. Kahoʻolawe is the smallest of the eight main Hawaiian Islands. It is seven miles wide and eleven miles long. Kahoʻolawe is a dry island, averaging only 25 inches of rain per year. Moaʻula is the name of the highest mountain peak on Kahoʻolawe. 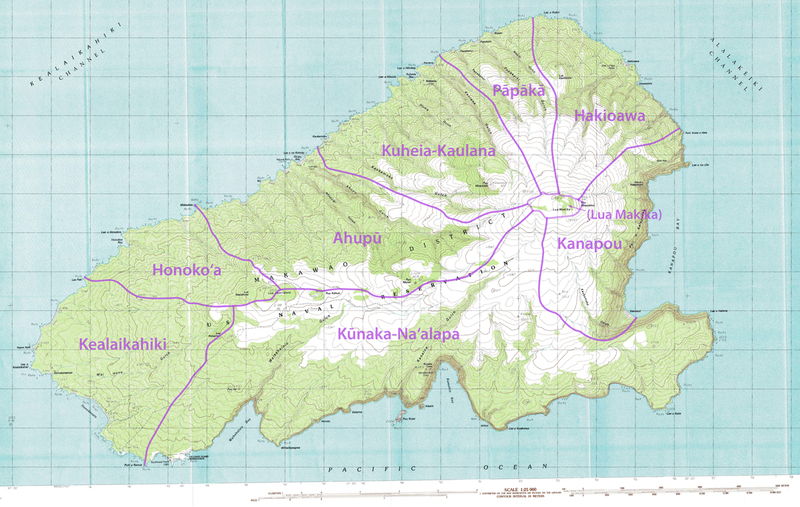 Kahoʻolawe has gone through many changes in the last 200 years. 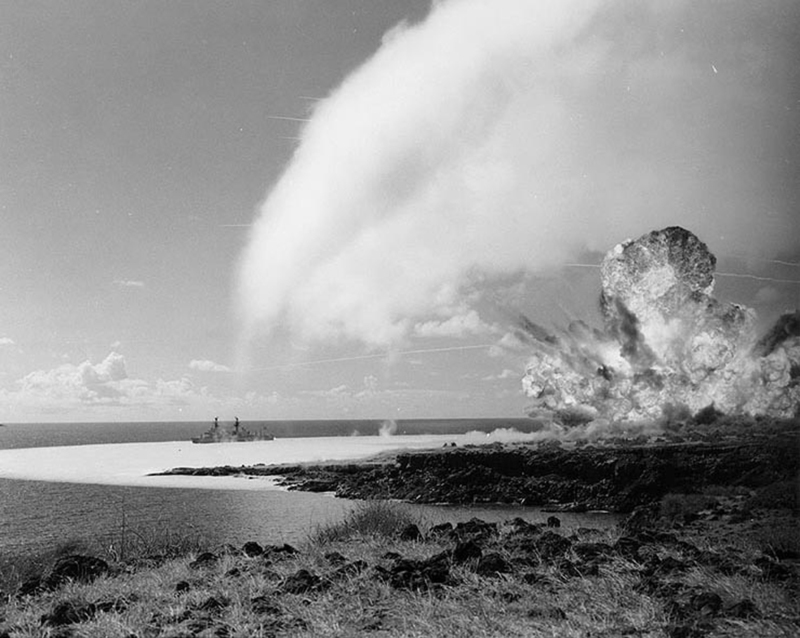 The sacred island of Kanaloa was utilized as a penal colony, as ranch land, and as a bombing range by the U.S. Navy. These activities destroyed the natural environment of Kahoʻolawe. The effects included increasing erosion, polluting the water and covering the landscape with unexploded bombs. In 1976 the group Protect Kahoʻolawe ʻOhana (PKO) filed Federal Suit to stop Navy bombing on Kahoʻolawe. Shortly after, Kahoʻolawe was nationally recognized as a historic place. 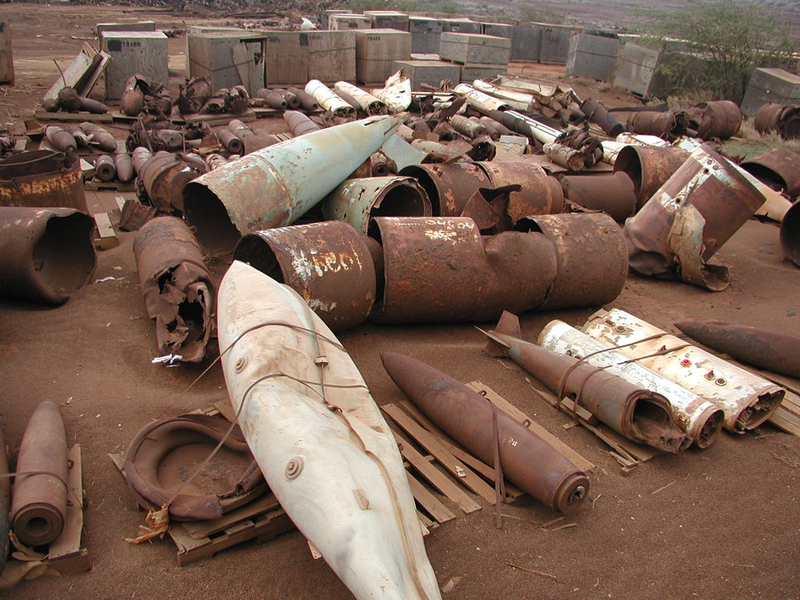 Nine years later the U.S. Navy was forced to stop the bombing of Kahoʻolawe. Kahoʻolawe’s deed of ownership was transferred to the State of Hawaiʻi. The Kahoʻolawe Island Reserve Commission (KIRC) was created by state law. KIRC manages the island and surrounding ocean. Kahoʻolawe is now held in trust for the future Native Hawaiian Government. Native Hawaiians have special rights and kuleana for the island of Kahoʻolawe. Kahoʻolawe was taken in December 1943 by the United States under Martial Law. In 1953 President Eisenhower signed Executive Order 10436 reserving the island for naval training purposes. Kahoʻolawe’s sacred relationship with Native Hawaiians has been restored. The mana of the island continues to nurture and be nurtured by Native Hawaiians. The following is a mele komo (request to enter) and a noi ʻaʻama (request for release) used on Kahoʻolawe. 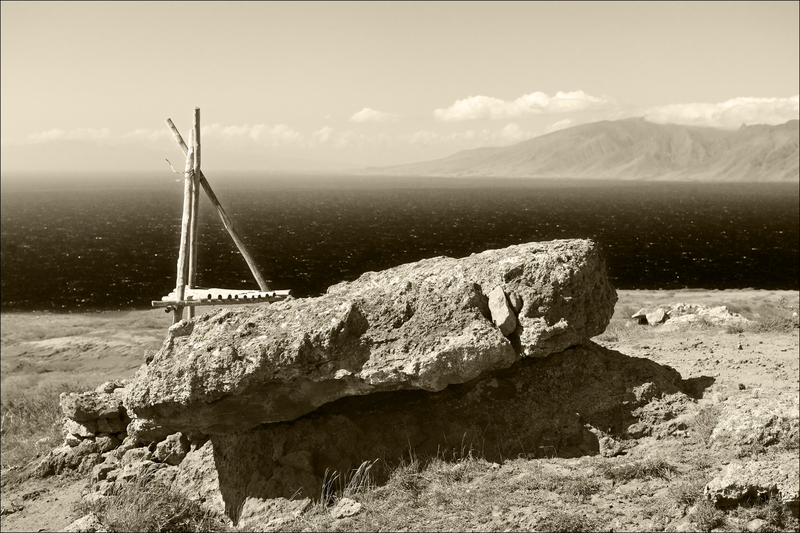 Many kānaka (people) travel to Kahoʻolawe to conduct ceremonies. For example, the start and close of the makahiki season is celebrated at Kahoʻolawe. Kahoʻolawe is considered a wahi pana (storied place) and puʻuhonua (place of refuge) on all levels of government. “As a wahi pana, the island is dedicated to Kanaloa, the honored and respected ancestor/deity who cares for the foundation of the earth and the atmospheric conditions of the ocean and heavens. As a puʻuhonua, Kahoʻolawe is a refuge, or ʻsafe’ place, for people to practice and live aloha ʻāina. The KIRC’s main mission is to restore the native species, control erosion, and provide an opportunity for Native Hawaiians to reconnect with Kanaloa (KIRC: Volunteer Packet, 3).” Native Hawaiians will continue to practice aloha ʻāina in caring for Kahoʻolawe, the sacred island of Kanaloa. He uku maoli ia, he iʻa no Kahoʻolawe. He is an uku, a fish of Kahoʻolawe. The kūpala is a wild plant whose tubers were eaten in time of famine. It grew on Kahoʻolawe. Pā ka makani ʻo ka Moaʻe, hele ka lepo o Kahoʻolawe i Māʻalaea. When the Moaʻe wind blows, the dust of Kahoʻolawe goes toward Māʻalaea.